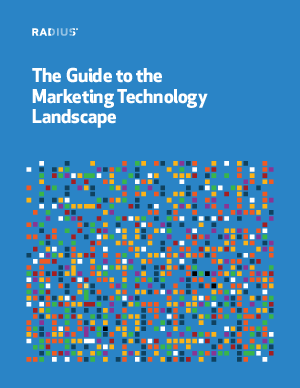 As you are reading this guide, changes to the marketing technology landscape are taking place. It is not the beginning of these shifts, but it’s also nowhere near the end. The landscape is not stagnant, it’s incredibly dynamic. Mapping out a definitive MarTech action plan is not the purpose of this guide. The goal is to provide you with an understanding of the shifts taking place, and how you can navigate the deluge of emerging marketing technologies. The landscape is evolving, maturing, and consolidating, and these changes will continue for years to come. This guide will also shed light on the challenge CMOs face in connecting new technologies with existing strategies, because new tools don’t automatically come with a new plan. Understanding the importance of technologies like predictive that span multiple stages of the marketing funnel will help inform this feedback loop between technology and strategy.